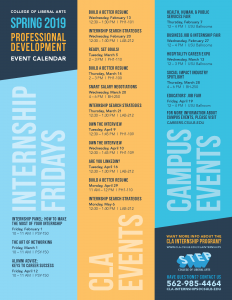 In order to make sure that students get the most out of their internships, the College of Liberal Arts has established a series of speakers and interactive workshops open to CLA students who are completing internships. 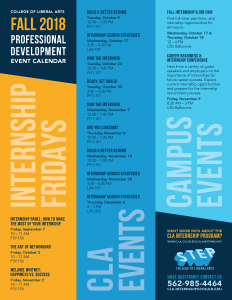 Offered on select Fridays throughout the academic year, these events provide opportunities for students to build professional skills such as interviewing and networking, as well as discuss internship and related career issues. To download a PDF version of the Spring Event calendar, please click here. To help students prepare for finding an internship, the College of Liberal Arts offers career readiness workshops and one-on-one career coaching sessions. 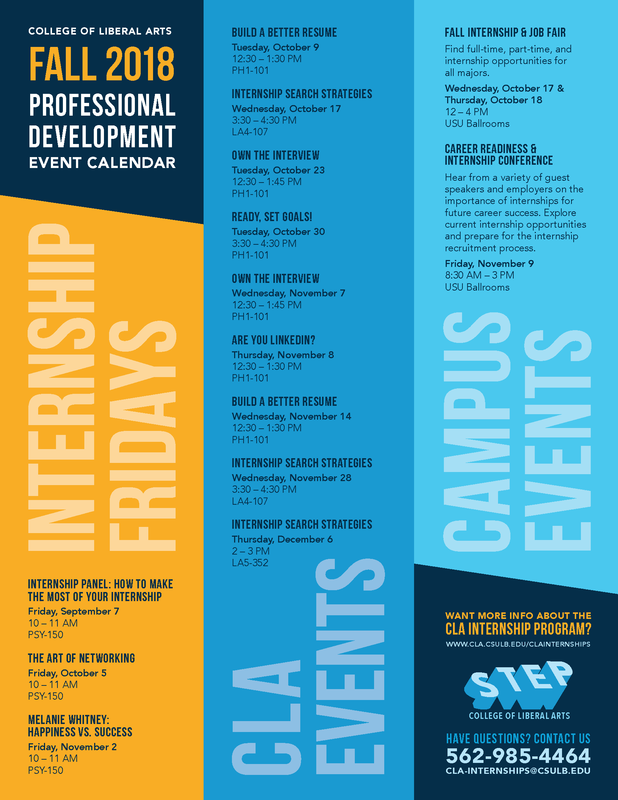 The Career Development Center also hosts a variety of workshops and events to help students prepare for and apply to internships. For more information about these events, visit www.careers.csulb.edu.